Dec0de022 wrote: nung previous trailers yung blonde ang trip ko. ngayon naman I'm starting to like the navigator. 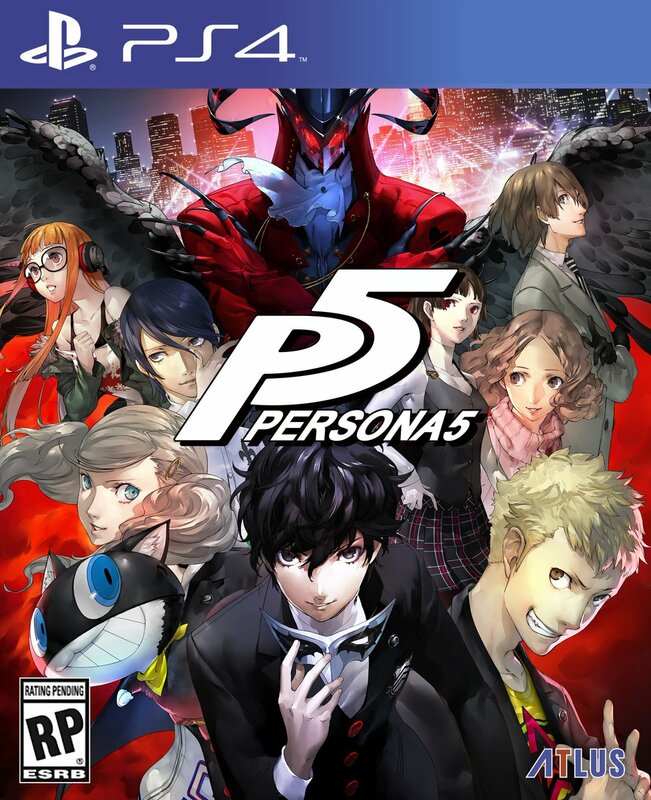 share lang nakita kong spoof ng P5 box art sa facebook. sakto pareho voice actor ni protagonist at Lelouch diba? haha. 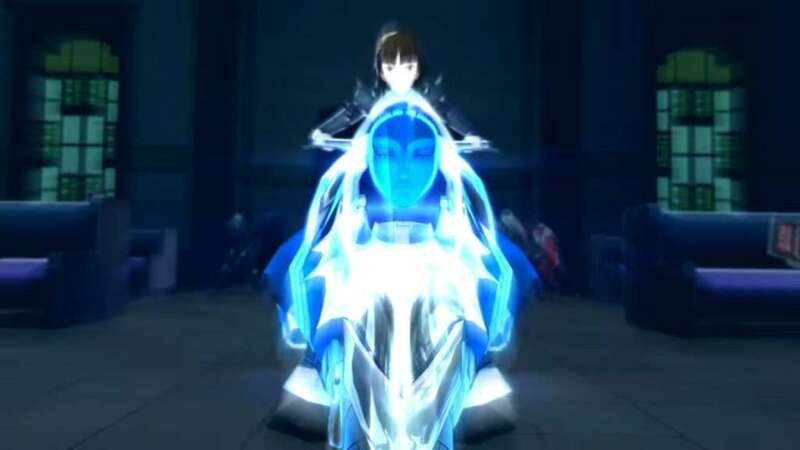 She has inhuman computing abilities, as a girl genius in programming capability. 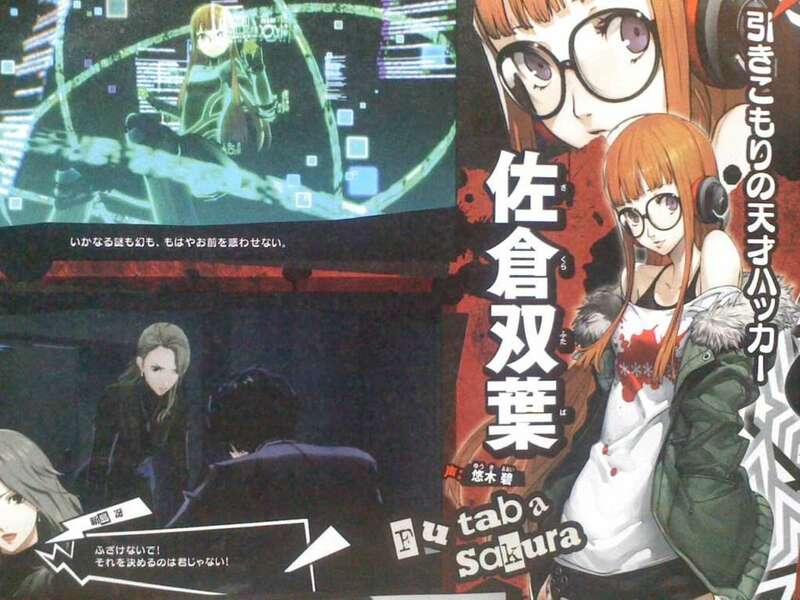 She is a first-year student in high school who has trouble communicating with others, however she becomes a shut-in after a certain incident. 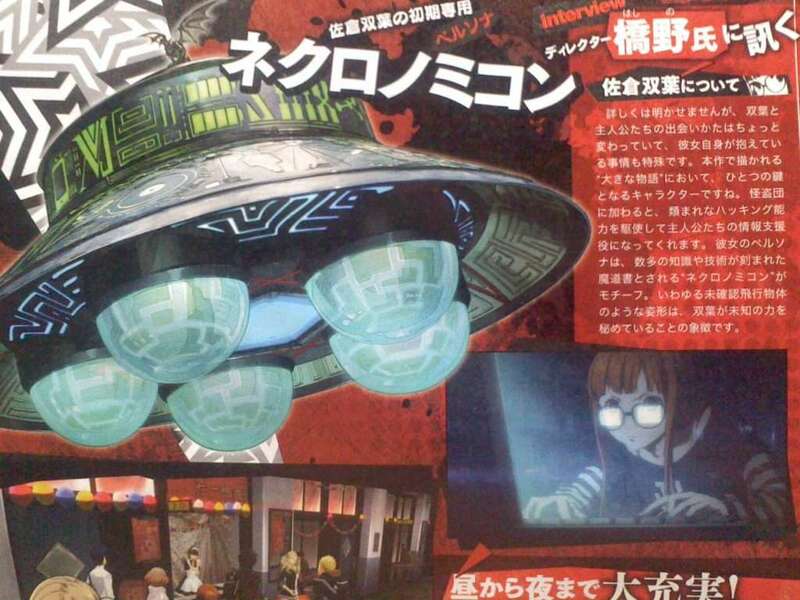 Her initial persona is Necronomicon. A third year who attends the same high school as the hero. She has a strong sense of responsibility and morals as a student council president, and she is a very serious honor student who doesn’t compromise. 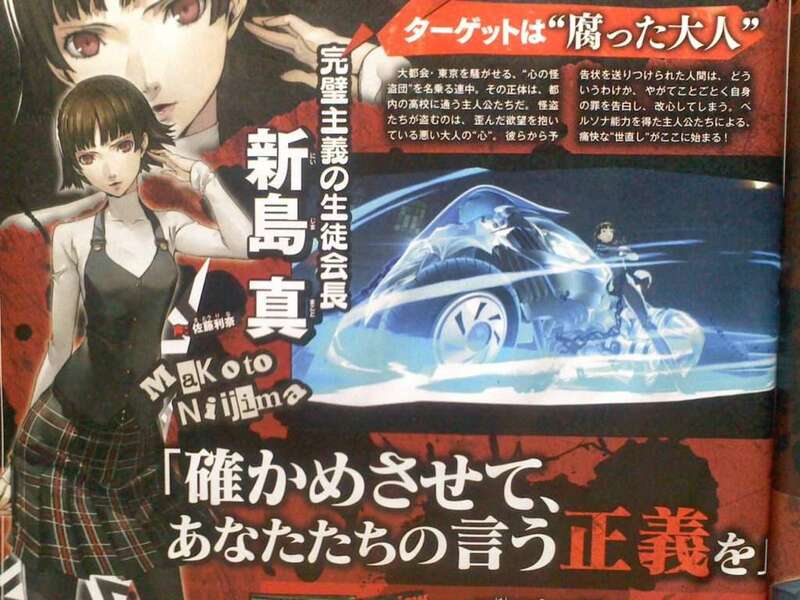 Her initial persona is Johanna. A third-year high school student who is the daughter to the president of a large restaurant company. Elegant but naive, she tends to observe people. 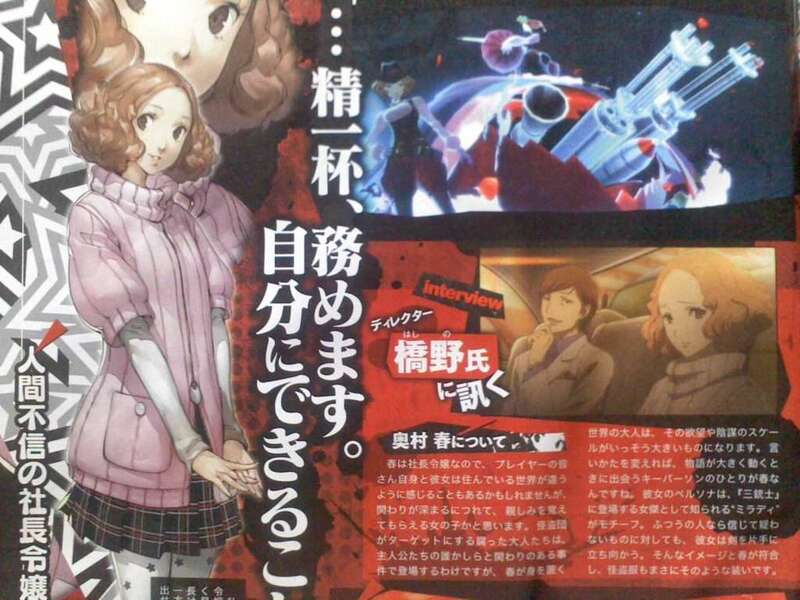 Haru also has good communication skills. 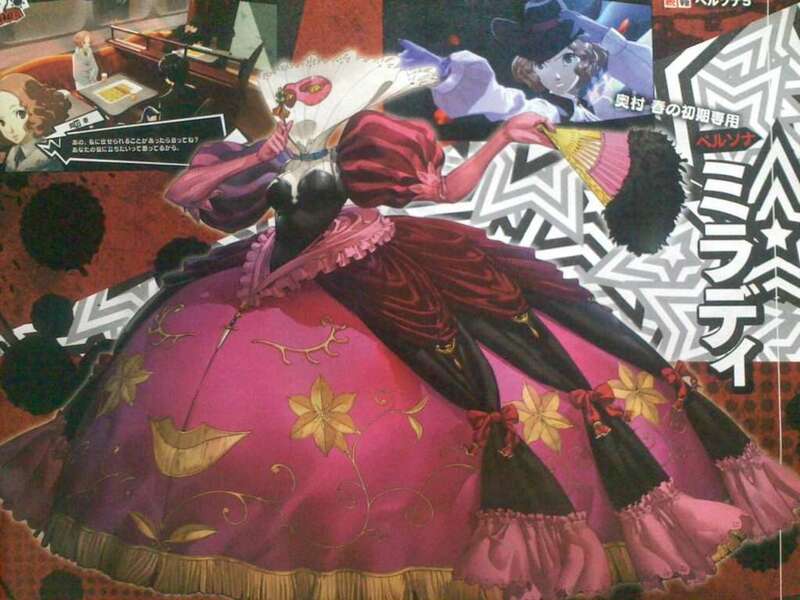 Her initial persona is Milady. 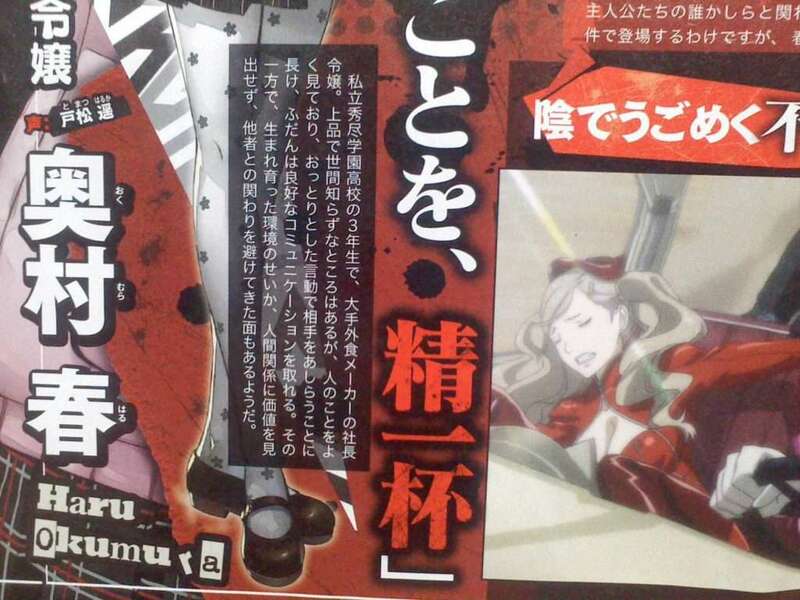 The upcoming issue of Famitsu will have new screenshots and illustrations of the characters and their personas introduced in the newest trailer. 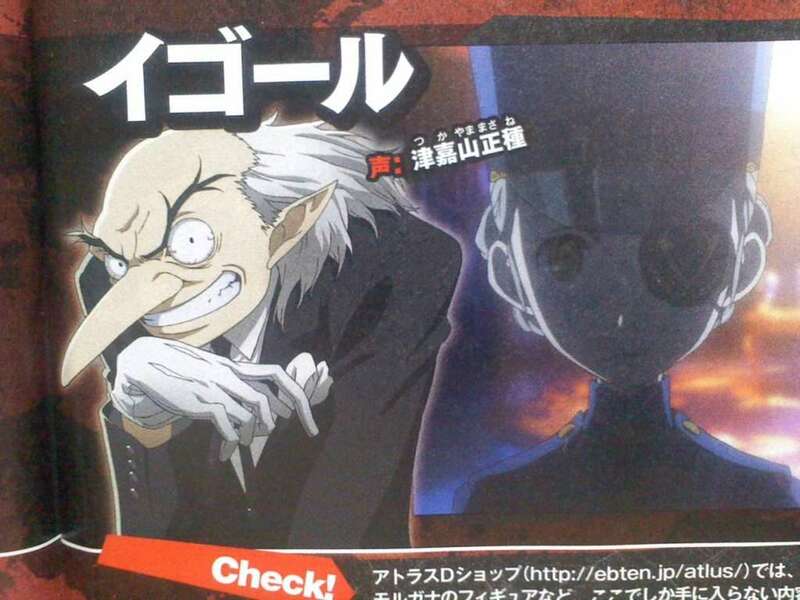 The 3 new characters who are part of the main cast and their initial personas. 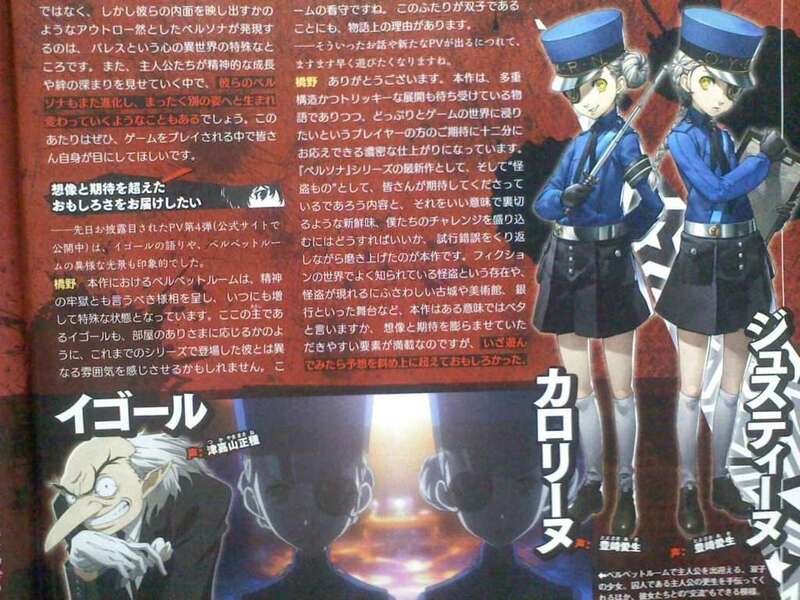 Igor, Caroline and Justine of the Velvet Room. The “double life” theme of the game. The May 26, 2016 edition of Famitsu—or issue #1432—will be releasing in Japan on May 12, 2016. 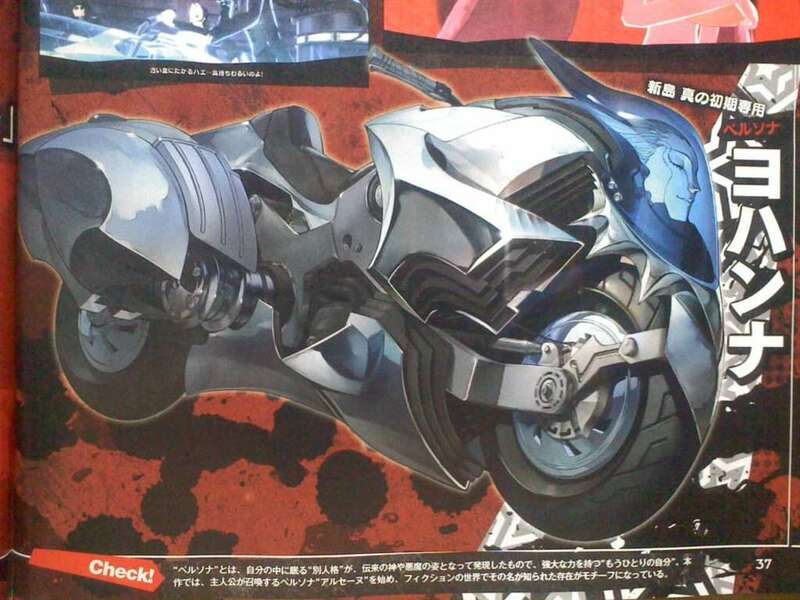 Additionally, Dengeki PlayStation magazine Vol. 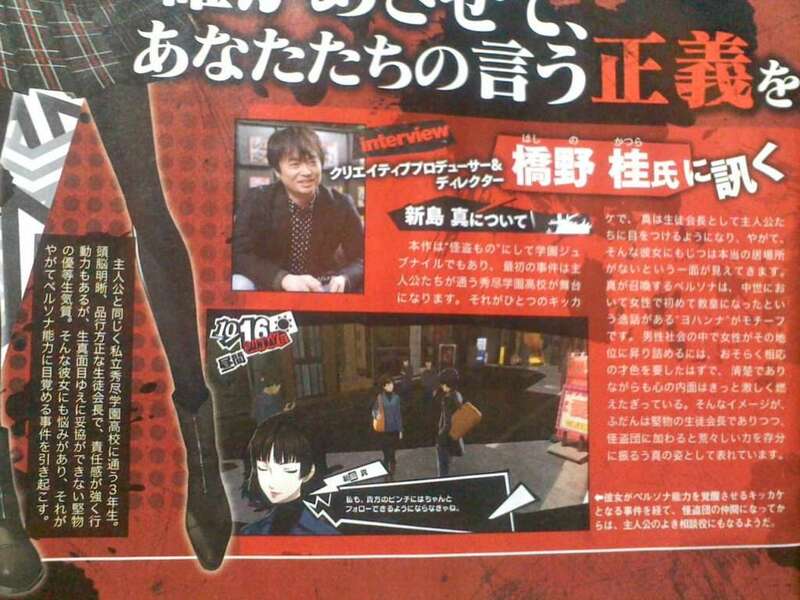 614 will also feature Persona 5 in a large, 12-page article with new information. 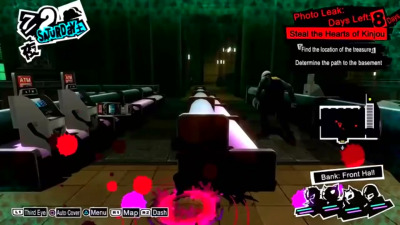 Persona 5 is slated to be released for the PS3 and PS4 in Japan on September 15, 2016, with a 2016 North American release date. sana maglabas sila ng undubbed with english text version gaya ng p3 lol. 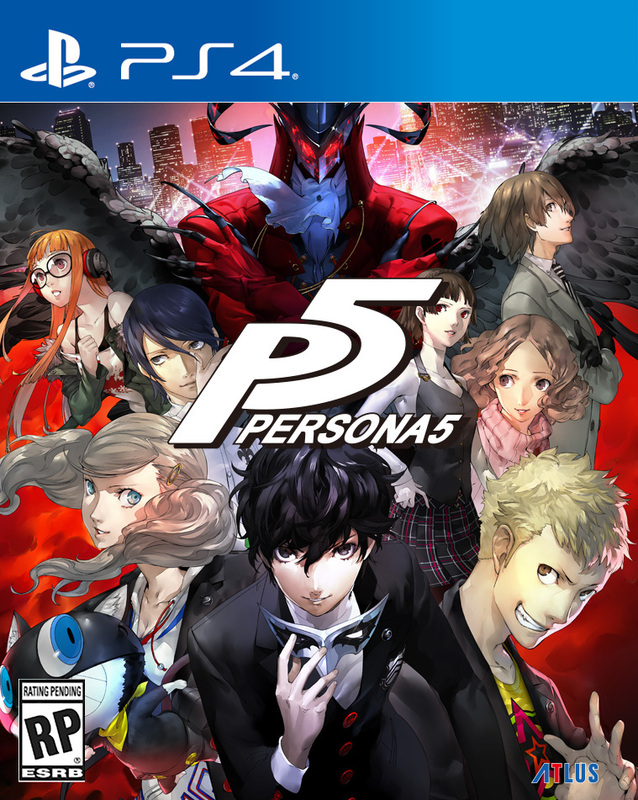 The standard edition of Persona 5 will be available for $59.99 on PlayStation 4, or $49.99 on PlayStation 3. PlayStation 4 customers who pre-order will receive a limited SteelBook launch edition for no additional cost. 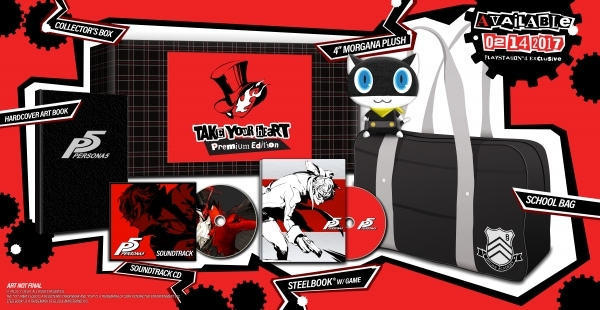 Exclusively for PS4, Atlus will offer a Take Your Heart collector’s edition including the game in a SteelBook case, a 4” plush Morgana toy, a 64-page hardcover art book, a full-size Shujin Academy replica school bag, a soundtrack CD, and a collectible box. The Take Your Heart Edition will be available for $89.99. 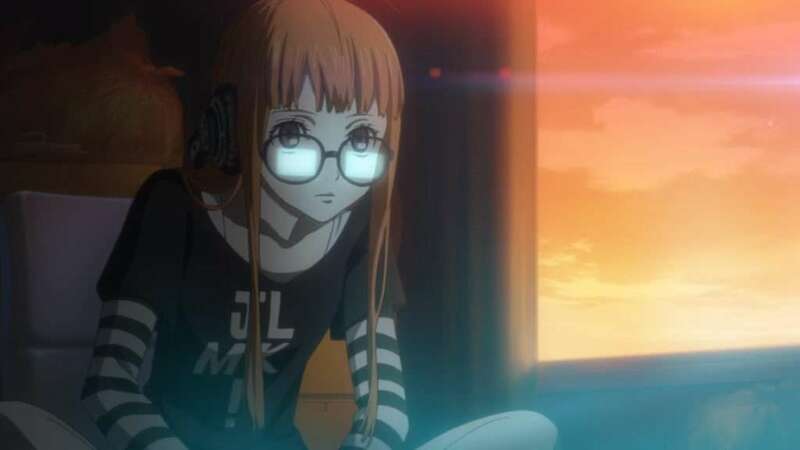 Persona 5 will launch for PlayStation 4 and PlayStation 3 in North America on February 14 in the Americas, Atlus announced. 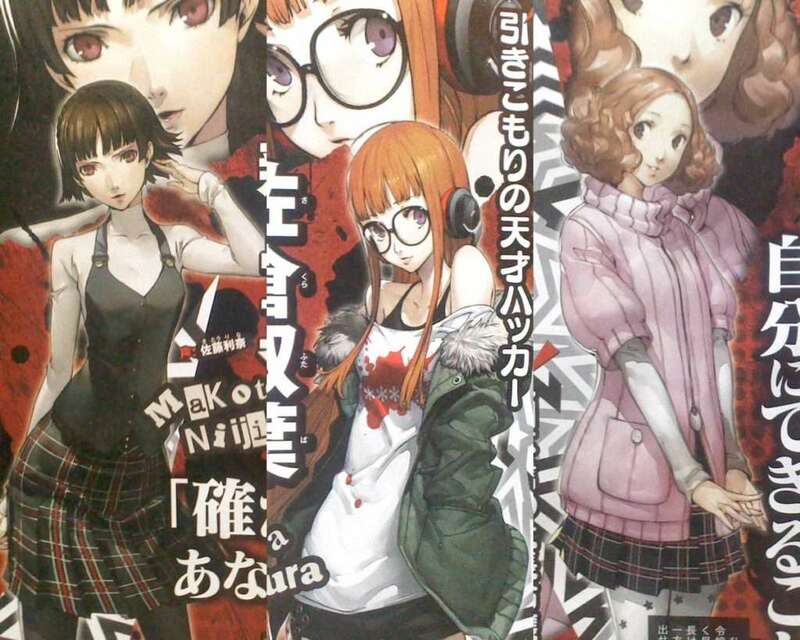 Soundtrack CD: A selection of music from Persona 5 by legendary series composer Shoji Meguro in a CD wallet featuring P5 artwork. 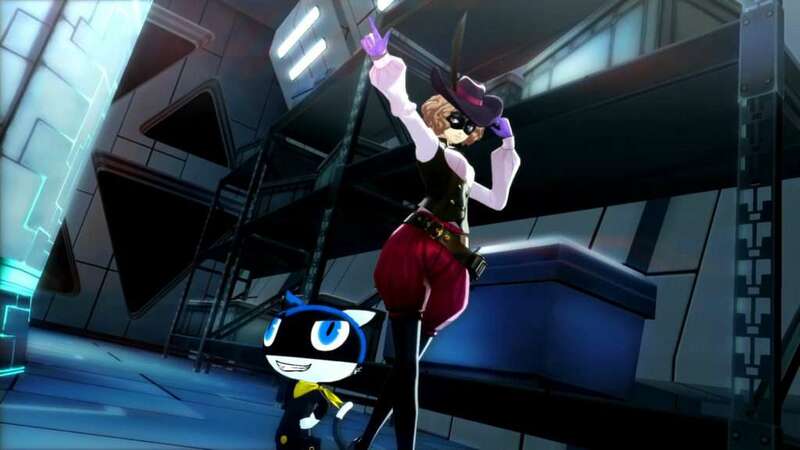 Morgana plush: Morgana the cat is not just the mascot of the Phantom Thieves, but is also a member—and also not just a cat! 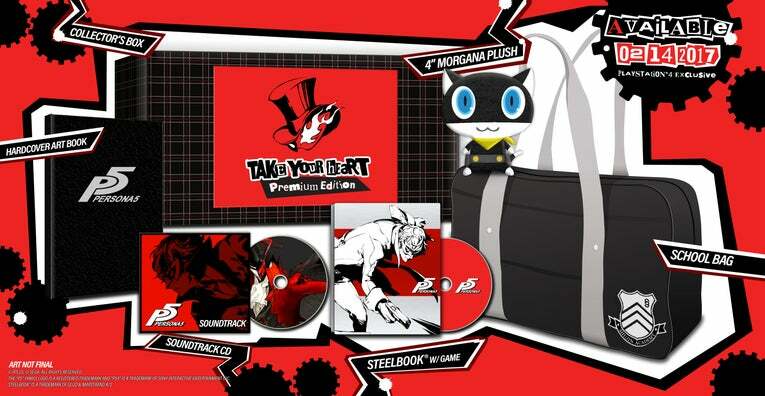 The premium edition includes an exclusive 4″ plush of Morgana. 64-page hardcover art book: This art book is full of concept sketches, character art, and more by character designer Shigenori Soejima. 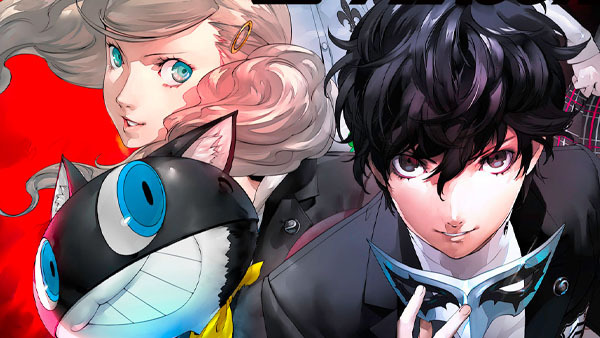 SteelBook: As strong as a vault, the game disc for the PS4 will come specially packaged in a SteelBook collectible case, emblazoned with Persona 5 designs. School bag: Designed after the traditional school bags in Japan, the exclusive replica bag comes complete with the Shujin Academy crest. 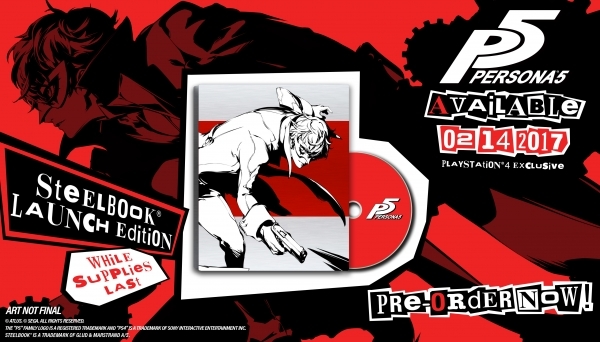 Collectible outer box: Easily the largest premium edition in Atlus’ history, the entirety of the “Take Your Heart” Premium Edition comes in a colossal collectible box. 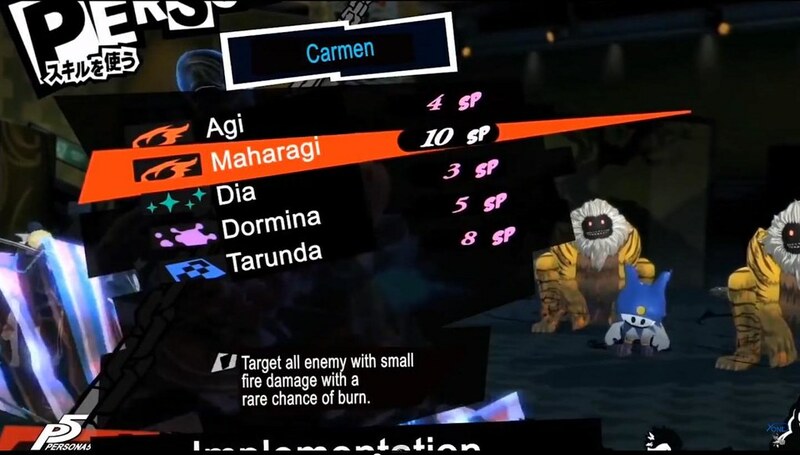 Morgana’s big head now covers Anne’s cleavage, and some argued that it was either censorship or an intended localization change. 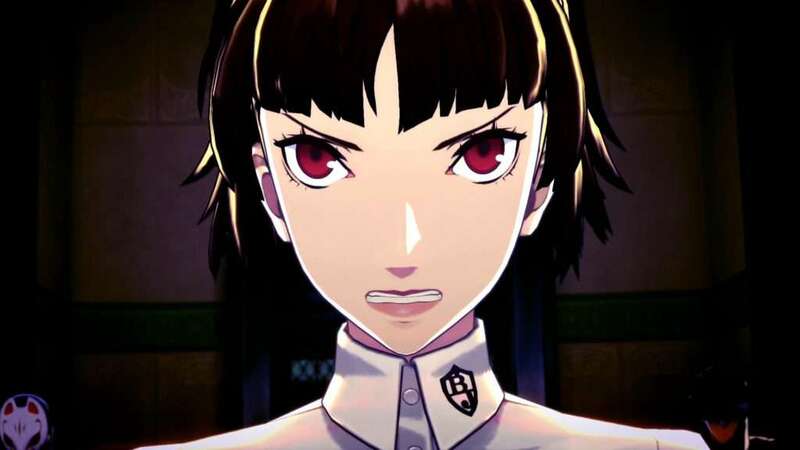 Atlus PR Manager John Hardin quickly explained the situation, mentioning that Morgana was shifted to avoid covering her face with the ESRB logo. 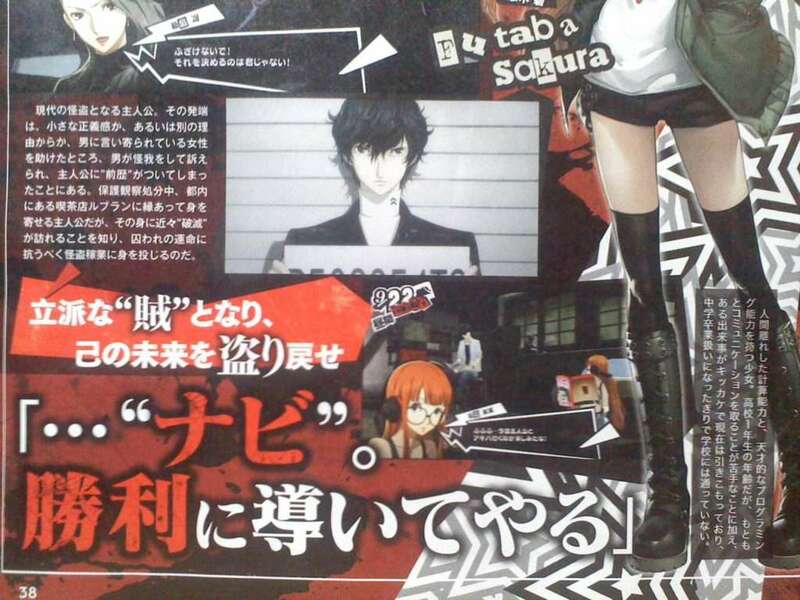 Btw, are you gonna get the PS4 Steelbook Edition of P5? I don't plan to buy a PS4 yet, but I seriously want that bag, haha. Aethoria-7 wrote: Thanks for the link!